What’s It About? From director David MacKenzie (Hallam Foe, Young Adam) comes the story of Eric Love (Jack O’Connell – Skins, 300: Rise of an Empire), a 19-year old who has been ‘starred up’ – the prison equivalent of being clever enough to take your GCSEs early, but in this case he’s so violent they’ve put him into an adult prison. In this prison, he runs into his father, Neville (Ben Mendelsohn – Killing them Softly, The Dark Knight Rises). Neville is a ‘lifer’ who has spent his life in various prisons, and we see the relationship between the two unfold. The Verdict: From the moment Eric enters, you know there’s going to be trouble. We’re told he’s violent, but this is abundantly clear in almost every scene. Full of swearing and violence, this doesn’t shy away from life in prison. O’Connell has a non-vocal intensity that means we can see he’s violent without him really having to do that much at all. He is simply mesmerizing here, and thoroughly authentic. This is a breakthrough role as good as any. As soon as Eric gets to his cell, he sets out creating a shank from a toothbrush and a disposable razor. He’s got the arrogance of somebody who’s constantly behind the mask of violence, and he takes this out on both guards and fellow inmates. 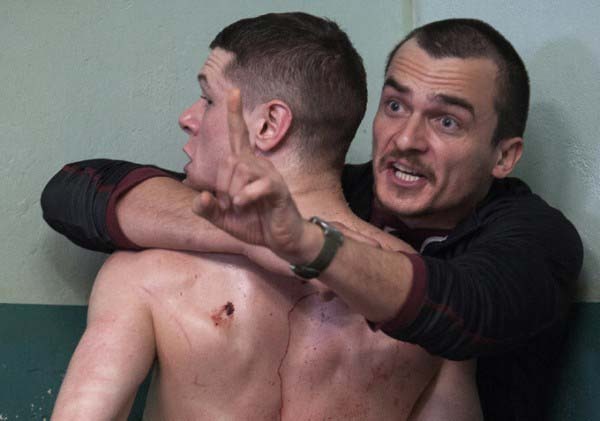 Inside, he meets Oliver (Rupert Friend – soon to be seen in Agent 47), a volunteer therapist who thinks his sessions can get Eric to calm down, despite what all of the other guards tell him. The scenes in this therapy group are the best scenes in the film. Full of inmates on the brink of losing it, we see them chatting, knowing one of them could lose it at any moment. They are tense beyond belief, you never know who’s going to be next to fly off the handle, but these scenes, and those just between Oliver and Eric also have some warmth and friendship to them. Writer Jonathan Asser, spent time as a volunteer therapist, and this has undoubtedly added to the credibility of the film as a whole, as well as filming inside a real prison with handheld cameras. The filming, including one excellent long shot which follows Eric down a corridor, into a cell and back again, is close and urgent. It feels like you are in the prison – and will make you feel like you need a shower after watching. Neville’s relationship with Eric is explored, as we see Neville trying to act as a father figure and protect his son, but often finding himself unable to do so without making matters worse. Mendelsohn can do ‘crazy’ like few others in the business. He is (again) completely believable as the always-shouting, unhinged father. Extras: Extras on the disc include a short behind-the-scenes feature, which gives an interesting chance to see the filming of scenes from the film side-by-side with how it ended up in the finished film. There’s also a featurette and interviews with both O’Connell (with a lot more hair than in the film) and director David MacKenzie. Final Words: A gritty and tense movie which will terrify you about ending up in prison. The three leads give excellent performances, but O’Connell’s central performance sees him emerge as a truly terrific actor and huge screen presence. 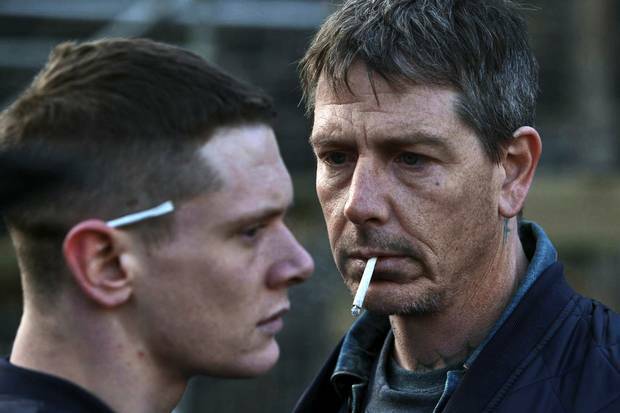 Through the writing, filming and performances, Starred Up brings a haunting realism to this prison-set family drama. Starred Up is released on Blu-ray and DVD on 4 August.